It is easy to pray generalized prayers asking God to bless us, our home, children, church, community, nation, etc. What makes it easy is that no detailed thought is put into how you want God to bless. What are you requesting God do? Rather than take the time to really consider the situation or condition and “pray” about how to “pray” saying general prayers is easier. Does praying general prayers means a person is not sincere in their prayers? No. I think most people are sincere; they really do want God to bless, heal, save, etc. 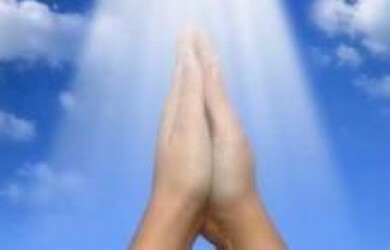 I have learned that many don’t know to make specific prayer requests. And, some don’t believe they should because God knows what they need even before they ask (Matthew 6:8). That is true; Jesus said so, but He expects us to ask. Being specific in prayer is a matter of clear and concise communication as if in a one-on-one conversation with another human being. In order to “make sense” and avoid vain babbling in conversation, you seek to communicate clearly so that each person understands what is being conveyed. Although you are talking with God, clear and concise communication is just as important; however, it is more to our advantage. I serve as altar prayer counselor at my local church. It is common for individuals to request prayer, but their requests are so general that I ask for more specifics, not to be nosy, but to be effective in prayer and articulate clearly. In addition, as I seek to be specific, the Holy Spirit gives me additional insight and specifics to pray concerning their need and situation. Therefore, they are enlightened concerning their own need and how to continue praying. Praying with specificity builds our faith and confidence as we become more sensitive to the Spirit by allowing Him to pray through us. As we study the Word of God, we are better equipped to pray in agreement with God’s Word and be specific because we know what He says. When we pray specifically according to God’s Word and He answers specifically, we can pray with specificity in confidence that He hears our prayers and He will answer us as He promised in His Word (Jeremiah 33:3). You are holy, righteous and just. I reverence you. Your works are marvelous in our eyes; I praise your holy Name. You said in your Word that we can come boldly to the Throne of Grace to obtain mercy and find grace to help in time of need. Father, I come in confidence requesting your mercy be extended to Doris. I pray for your favor to surround her like a shield. I pray that she does not lose heart and faint in her faith because of the report she has been given. I pray that she will believe your report. May she be steadfast and immovable from her position of hope in Christ and in your unconditional love for her regardless of how she feels. Lord, I ask that she becomes more sensitive and alert to your Presence in the next three months as she undergo more tests. I pray that every doctor, nurse, and all medical staff are handpicked by you to ensure the best medical care with her best interest in mind. I pray that they are kind, gentle and express genuine concern for her well-being. I ask that family members and close friends are strengthened by your hand to give Doris the support and love she needs to endure this time of testing. Lord, I believe that you are the same yesterday, today and forever, so I ask that your healing virtue flow continuously through Doris’ body. Let your power to heal be manifested in her life to give testimony and glory to you as the only true and living God. I speak words of comfort, peace and encouragement and send them forth in the Spirit to give life. I pray that the words of life and not death are spoken by Doris and all in her environment. Let the words of life permeate her atmosphere! Father, I thank you that you hear the prayers of those who believe and stand firmly on the truth of your Word. I pray this prayer in faith with thanksgiving in the Name of Jesus the Christ. Amen. After reading this, from this day forward, I pray that you begin praying with specificity according to God’s Word having confidence that He hears and will answer! I am so thankful that Father God is kind and forgiving. After all, it was kindness and unconditional love for us that He made Jesus Christ, who had no sin be sin for us so that in Him we might become the righteousness of God (2 Corinthians 5:21). And He continues to forgive all who will acknowledge/confess their sin to Him now. Confession is an essential form of prayer (communication with God); it is also a serious aspect of the Christian lifestyle. When we acknowledge or confess (admit) our sins, ask for forgiveness and repent, God is faithful and just to forgive us, and to cleanse us from all unrighteousness (1 John 1:9). In order to confess/acknowledge our sins, we should be sensitive to the work of the Holy Spirit. The Holy Spirit convicts us of our wrongdoing; He shows us the sin in our life so that we deal with it. If we don’t confess our sins, receive God’s forgiveness and cleansing power, we will continue to commit sinful acts. If we continue in sin, we cannot continue walking in the light and enjoying relationship with Christ. Sin can be compared to an infection that if goes untreated will spread and result in death. Spiritually speaking, if we don’t confess our sins to the Lord and allow Him to cleanse us, we risk being disconnected from Him and dying spiritually. We should prayerfully examine our lives frequently, daily if necessary, to make sure we don’t allow sin to fester in our lives. I might also note that sins of the heart (jealousy, envy, covetousness) are sometimes easier to overlook than sinful acts such as fornication, adultery, theft, murder. Sin cannot be classified or categorized as “small” and “big”. We must confess all sin. I come to you in the Name of Jesus Christ, my Savior and Lord. I ask You to have mercy upon me, Father, according to your loving kindness. Wash me and I shall be clean; purify my heart, cleanse me from all unrighteousness as you said in your word according to 1 John 1:9. Lord, I confess I sinned against you; I acknowledge my disobedience. I ask that you forgive me for grumbling and complaining and not walking in faith. I know that without faith it is impossible to please you. My desire is to please you, Father. Help me control my anger and have the right attitude that reflects your character. I am sorry;I turn away from my sin toward you in all honesty. Create a clean heart in me and renew my spirit to remain loyal to you. Thank you, Father for forgiving me and cleansing me. In Jesus’ Name with thanksgiving. Amen. I recommend that after you pray, remain in silence to listen for Him to speak to your spirit concerning your confession and request for forgiveness. Make sure you confess all known or revealed sin; you may want to be specific about your sin (in your private prayer time, of course). After you’ve finished praying, He may give you Scriptures, or speak in a still small whisper to assure and comfort you. However, if He does not speak immediately after your prayer, let your faith and the Word give you the assurance that your prayer was heard, and you are forgiven, if you prayed earnestly in faith. 2) Enhance your knowledge about your position, perspective and perception of prayer; 3) Provide wisdom and understanding to new converts struggling to develop and maintain a consistent prayer life; 4) Give you a Rhema Word from the Lord about prayer. The first thing I noticed is that God did not rebuke the prophet for his inquiry. This helps to understand that God does not despise questions when they are brought to him from an honest heart in prayer. The truth is it is the responsibility of the prophet (five-fold ministry leaders), men and women of God to inquire of the Lord. Address your concerns to Him, and express your innermost thoughts so that you can get “first-hand” knowledge, insight and revelation from the mind of God. This is what Habakkuk did —went to Adonai, expressed his concerns, presented his case to God from his perspective, based on his perception of present circumstances and waited in confidence for an answer. NOTICE I said Habakkuk presented his case from his perspective based on his perception of things. Whenever you go to God with complaints, or concerns that suggest His inactivity, it is usually from your viewpoint because you’re looking at present situations and circumstances that cause you to question God’s control and sovereignty. Nevertheless, God will answer us. Although His answer may be perplexing, and His way may not be comprehensible to us, we can rest assured that His purposes will prevail (Proverbs 16:4, 19:21). I encourage you to study the setting in the Book of Habakkuk to get a better understanding of the conditions. Basically, Judah had sunken deeper into sin and idolatry. All Habakkuk saw was wickedness and injustice; and it appeared as though God was doing nothing about it. Not only that, but when God showed Habakkuk his plan, it didn’t make sense to him—using the cruel and wicked, idolatrous Neo-Babylonians to judge His people—using the wicked to punish the wicked. Although it may seem as though nothing is changing for the better, always know God is working. And His plan is always laid out to bring about redemption, restoration, reconciliation, and relationship. (Read God’s reply to Habakkuk (1:5-11). How can you relate to Habakkuk’s complaints to God ? What have you been praying about for a long time but have seen no change? Gleaning from this insight, how will you approach God differently in prayer? Was this helpful? Leave a Comment; your feedback is welcome.